Dynamic Fitness & Strength builds specialized strength training products that bring next level functionality and superior quality to your training facility. Trusted by professional sports teams and D1 colleges and universities, Dynamic sets the standard in the strength training industry. 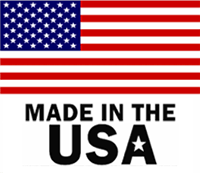 Add depth to your facility with this specialized equipment Made in the USA, and built to last. Customize frame and upholstery colors, and add custom logos and branding to make your facility one of a kind. Talk to a Dynamic Fitness & Strength sales representative about all the capabilities and custom options available.